New for 2018: Triple Crown will be allowing BPF 1.15 and USABats. 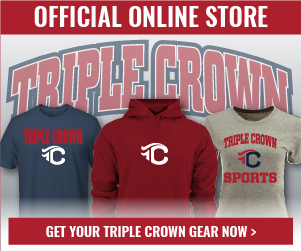 For any division that Triple Crown offers as “No Lead Off / LL Rules”….only USABats will be allowed. 4-Game Guarantee. Half of all teams will play at least 5 games. 2 "Rival" games on Saturday (NORTH vs SOUTH). Format is subject to change based on team numbers from each territory. Sunday your team must win an In-State Playoff to play for the Border War Championship Game against "Rival" - Team & Individual Awards will be given. Each "RIVAL" matchup win throughout the weekend, across every age division (8u-16u), will earn your state RIVAL POINTS. The TERRITORY with the most RIVAL points will be declared the BORDER WARS Champion and hold onto the BORDER WARS TROPHY until the following year's event! Game Times Available: Monday, April 29 by 5 p.m. MT. Manager's Meeting: No manager's meeting WATCH VIDEO. Please bring a binder/folder with copies of all birth certificates as well as your team insurance. Keep this with you at all times in the event of a protest. Congratulations to the South on winning two straight Border Wars titles!